Heat maps are a very useful graphical tool to better understand or present data stored in matrix in more accessible form. E.g. they are very helpful during seeking/comparing missing values in time series or checking cross-correlations for large number of financial instruments. 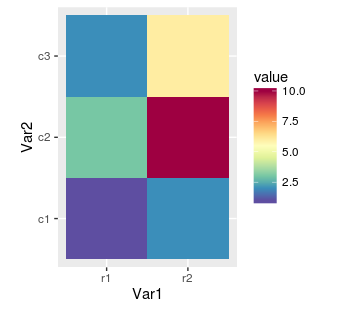 Before we present how to plot heat map in ggplot2, we will start with very simple example related with image() function. First, let's create simple matrix. Next, we can prepare basic heat map. 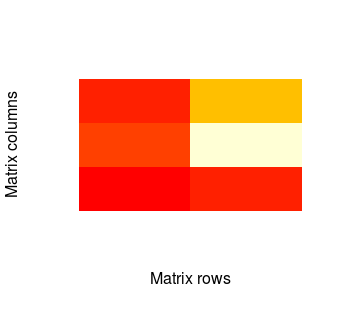 As one can see, the x axis represents rows in matrix. 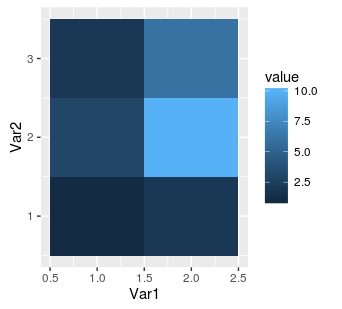 The first row is on the left (the lowest value on the axis), whilst the last row in on the right (analogously - the highest value). The y axis represents columns and first column is on the bottom. And by default, red colour represents the lowest values in our matrix, while the highest are lighter. NAs remain transparent, so it means that in this case they will be white - like plot background. 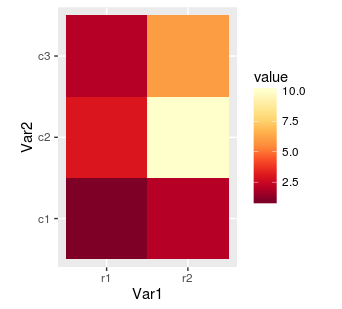 Before we'll plot heat map in ggplot2, we have to transform our data into melted form with melt function from reshape2. 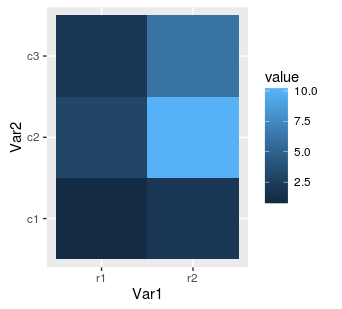 It's often cool feature when our matrix has equal number of columns and rows. Finally, we can also change the colours using RColorBrewer package. 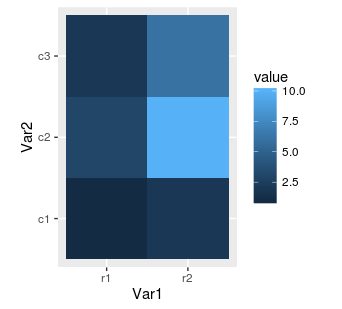 At the end, we can also overwrite axis labels as well as rotate values on scale. Rotating can be very helpful when dirnames are long and there are many rows. As without it the labels will be impossible to read.